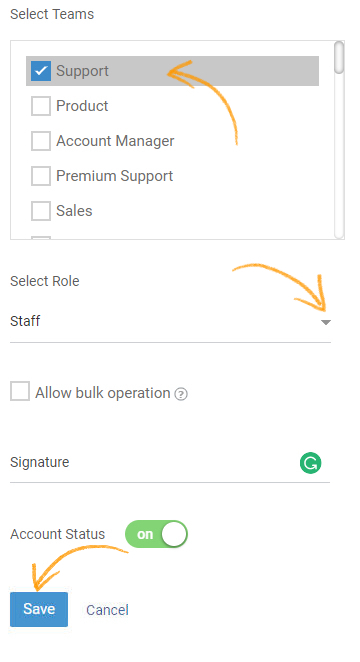 Add multiple users to your Help Desk account and assign them roles to assist you in serving customer queries. 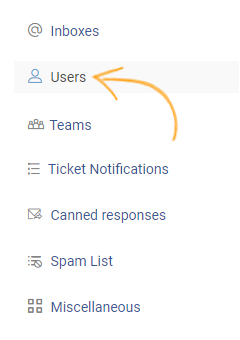 Help Desk users are agents who handle tickets, and handling means responding to customers, closing tickets, changing ticket details, moving tickets from one category to another, adding tags, etc. Simply put, an agent is a person who works with customer requests. Step 1: Navigate to "Settings"-----> "Users." Step 2: Click the "New User" button. Step 3: You will be re-directed to the 'user information' form. 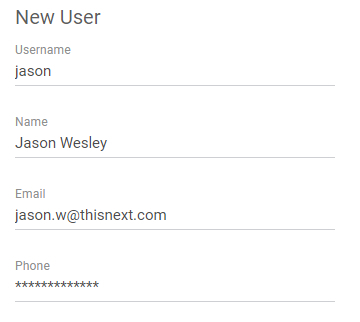 Enter details of the new user, assign team and role, and enable account status. Click "Save" to add the user. You will be redirected to the user dashboard with a confirmation message for the successful addition of the new user.